Cyclists and visitors raise money for bicycles for children at the 24-hour charity cycling challenge with Marko Baloh • BTC d.d. 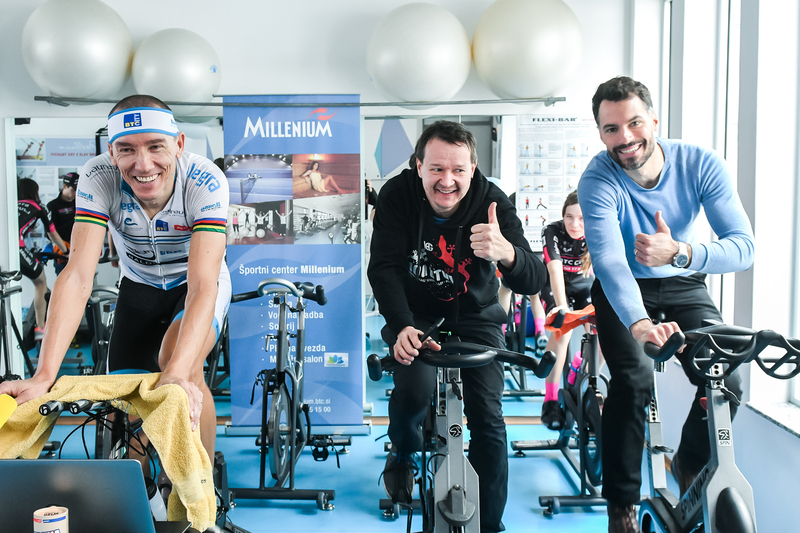 Cycling for a good cause took place once again last weekend in Sports Centre Millenium. 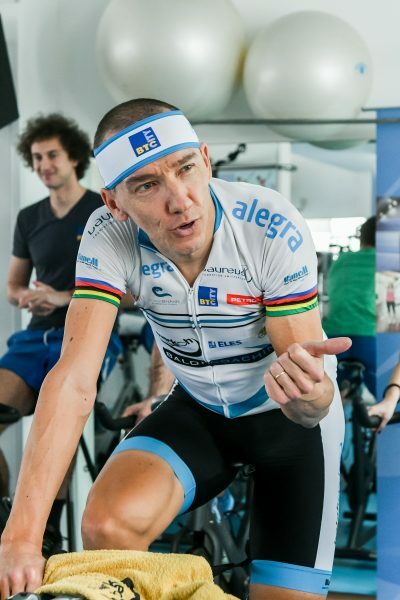 At midday on Friday, January 25, ultra-distance cyclist Marko Baloh mounted his bike for a full 24 hours already for the 14th time. 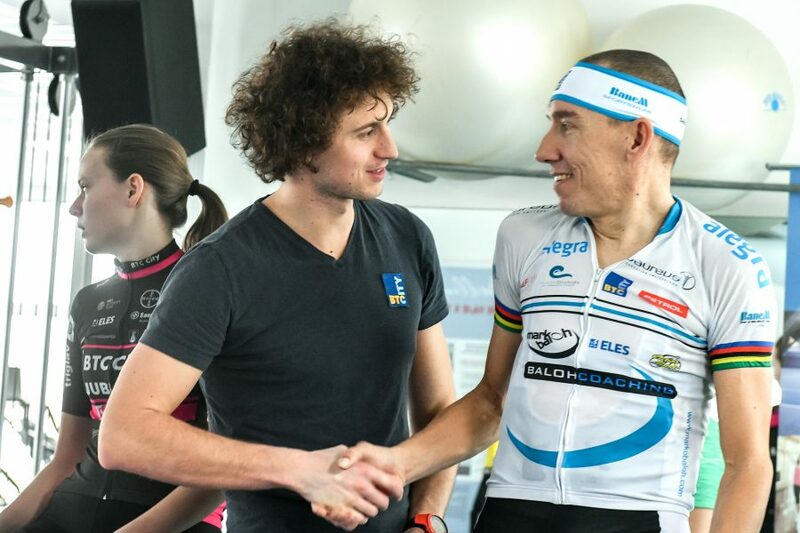 He was joined by more than 120 cycling enthusiasts. 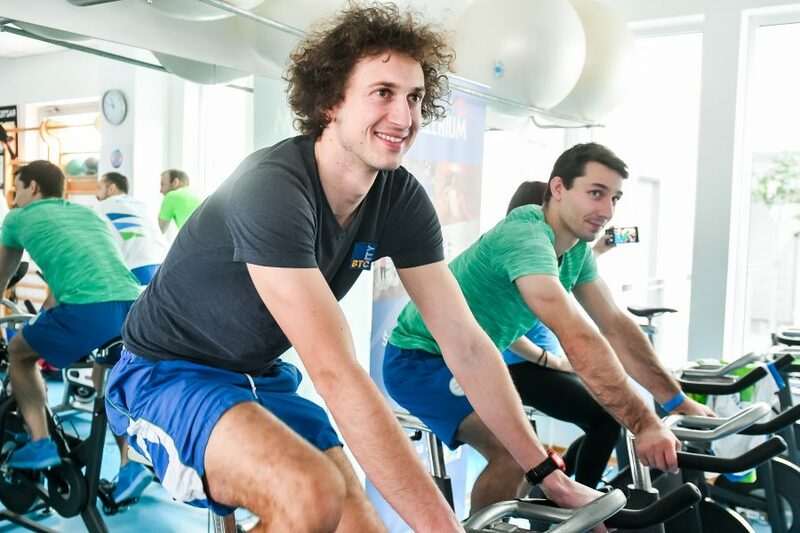 This year, the traditional marathon cycling challenge was held in support of the humanitarian organisation Association of Friends of Youth Ljubljana Moste-Polje. 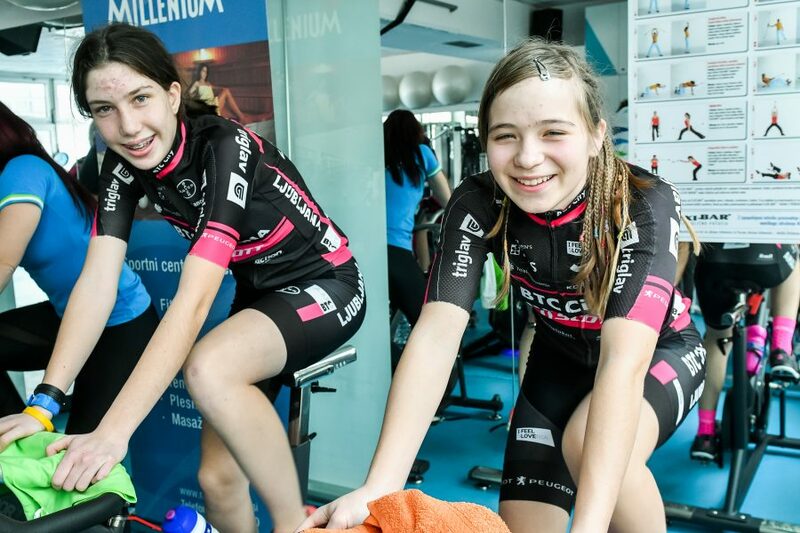 The money, which is being raised through text message donations, will go towards bicycles for children to use on holidays at vacation house Vila Šumica in Kranjska Gora. So far, we have raised a total of about 712 euros. Donations are open until February 1, with BTC, d. d. adding the funds necessary to purchase another 5 bikes to the final tally. 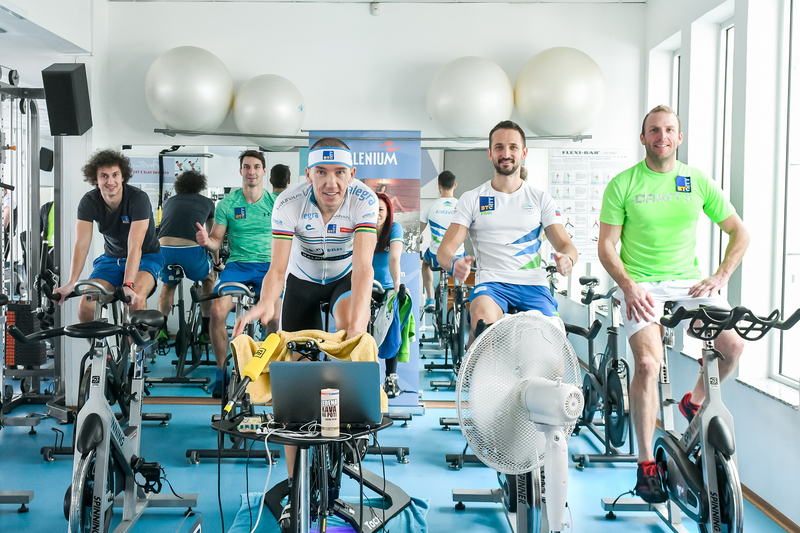 A number of keen cyclists took to indoor bikes to accompany Marko Baloh on a virtual tour of Slovenia and the cycling trails of America. 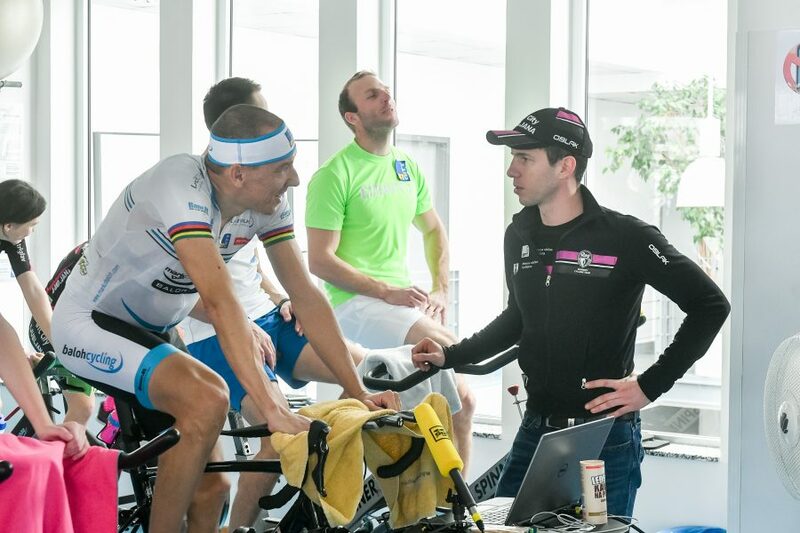 Additional motivation was provided by exclusive Jrobic Touring videos with Jure Robič and Marko Baloh from RAAM and DOS. 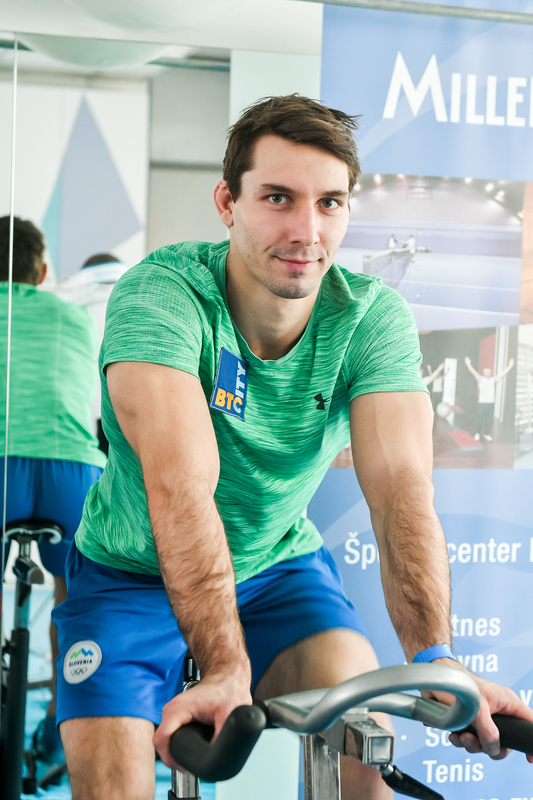 The event was supported by many Slovene athletes, including Jure Košir, Sašo Bertoncelj, Mitja Petkovšek, Andraž Jereb, Samo Jeranko, Nejc Žnidarčič, Tjaša Kysselef, and girls from the cycling team BTC City Ljubljana, as well as Slovene TV personality David Urankar and stand-up comedian Andrej Težak Tešky. The exciting event was also live streamed at Vzivo.si. That this was a true ultra-distance challenge is evident from the ultra-distance numbers. In 24 hours, Marko Baloh drank 24 litres of fluids. He consumed 9,100 calories and burned as many as 15,600 calories. With an average speed of 35.9 kilometres per hour, he rode for 847.7 kilometres, covering an altitude of 3,405 metres. 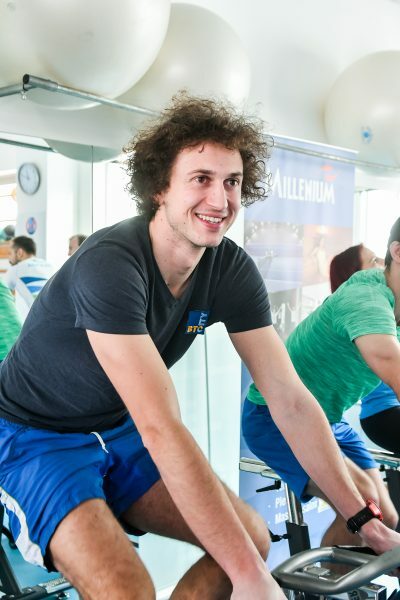 Commenting on the event, Marko Baloh noted: “I’m glad that I could once again swing onto my bike and get rolling in the spirit of charity. 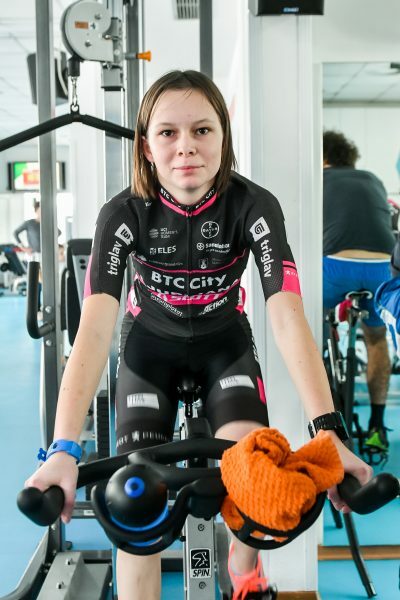 I know firsthand how a bicycle and cycling can change one’s life. This year’s project is especially dear to my heart because we will help get new bikes for children who could otherwise not afford them. 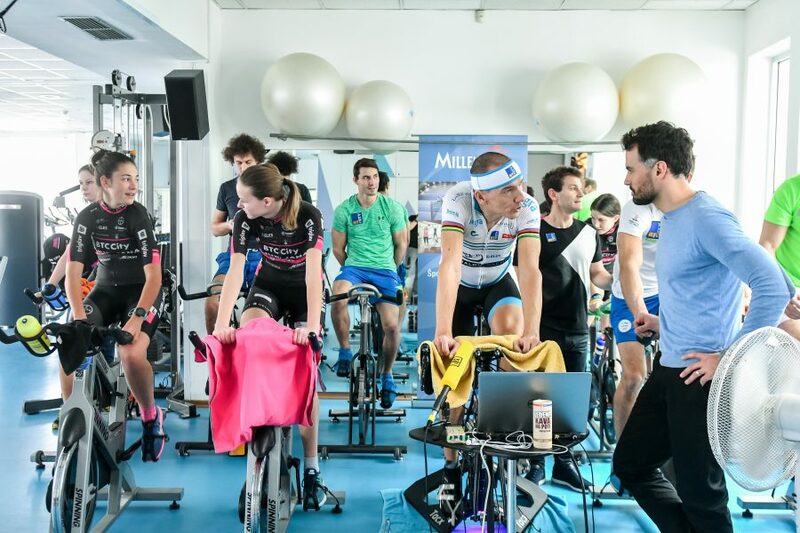 It is also great to see how many people responded to our invitation and helped brighten the days of these kids.” The challenge also serves as preparation for Marko’s tenth RAAM, the Race Across America 2019, which is the most uniquely extreme endurance race in the world. The distance to be covered by cyclists in one go is approximately 4,800 kilometres. 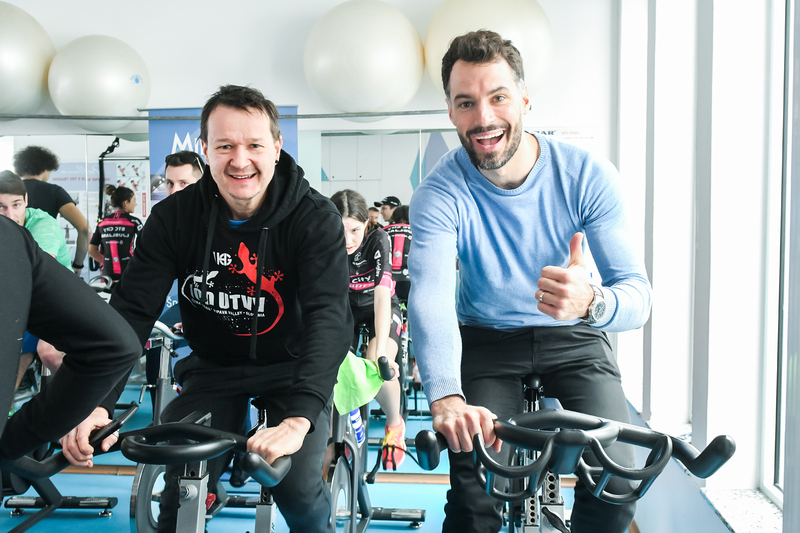 This year’s 14th traditional marathon cycling challenge was held in support of the humanitarian organisation Association of Friends of Youth Ljubljana Moste-Polje. 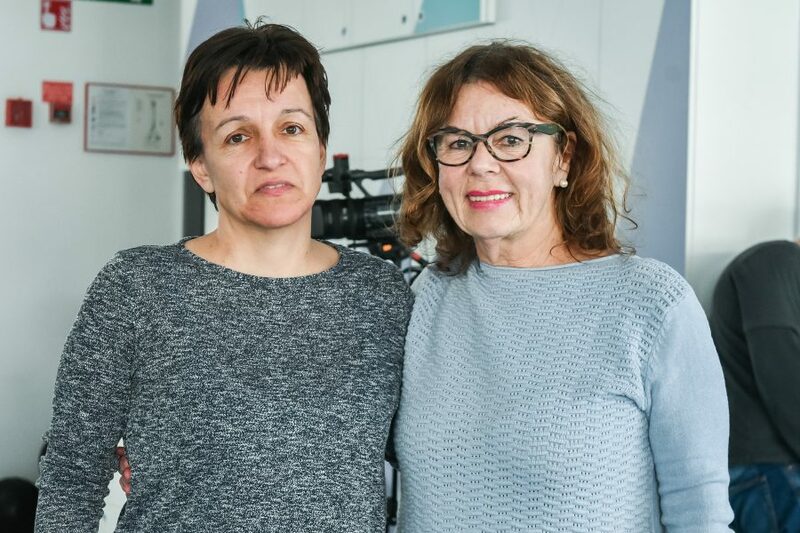 So far, visitors and supporters have raised about 712 euros, which will go entirely towards the purchase of bicycles for use at vacation house Vila Šumica in Kranjska Gora, where children can spend their holidays as organised by the Association of Friends of Youth Ljubljana Moste-Polje. Besides the bikes bought with text message donations, BTC will contribute the money necessary to purchase an additional 5 bikes. Those who couldn’t attend the event can still join the charity campaign. Text message donations are open from January 18 until February 1, 2019. Donate EUR 1.00 or EUR 5.00 by texting “PRIJATELJ” or “PRIJATELJ5” to 1919 and help bring a smile to a child’s face.